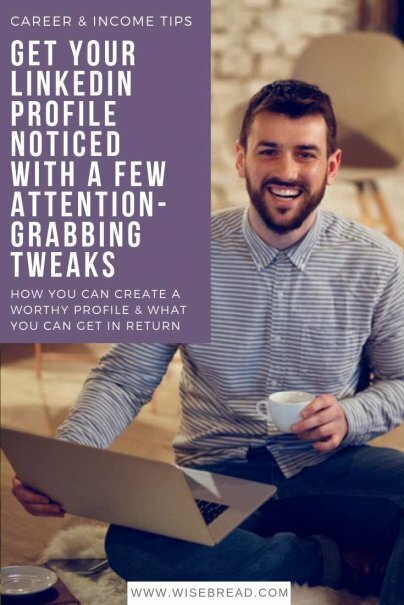 With all the benefits that can come from being found on LinkedIn, it's important that your profile reaches out and grabs the attention of the person who stumbled upon it. And while there are many tips and tricks to being number one in the LinkedIn search results, they are all for nothing if your profile is disappointing, or worse yet, beneath your own level of professionalism. Still missing a photo on LinkedIn? You need to upload one right away! Not only will a photo help make your profile stand out, but it puts a face to a name, and a name to a face. This will prove useful when taking your job search or networking experience from offline to online. Be sure your picture is one that you would feel good about putting on a business card, though — no Facebook selfies or photos older than five years, please! LinkedIn has limited options for linking in the main portion of your profile. It's amazing, however, how few people use the maximum number of link fields provided to promote themselves and their work. Do you have a blog, a website, and a company Facebook page? Include all three in your profile, with appropriate anchor text. (Use keywords with these, too, if possible.) Specifically, if you work in an online niche, leaving out links to other sites will leave those who view your profile confused or underwhelmed. Including a way for contacts to reach you outside of LinkedIn (included in the Contact section). Linking to your various social media accounts (only those, however, that are appropriate for business purposes). Upgrading to a paid account (which allows you to see who has been viewing your profile). While LinkedIn isn't the magic bullet that will make or break a career, it certainly gives the dedicated professional a leg up in a very competitive economy. By taking a day or two to set up your profile in an attention-grabbing manner, you can make sure that your online "first impression" is a worthy one. Has LinkedIn helped you land a job or a gig? Any profile tips we've missed? Please share in comments!